When Jennifer Sagum embarked on a gut renovation of her family’s Williamsburg home, she need not look far for inspiration. Having spent the past eighteen years immersed in the world of Marc Jacobs, she drew upon her keen eye and fashion sensibility to inform the creative process. "I’ve been vintage shopping since I was in 7th grade…I wear a lot of Marc and mix it with vintage. That’s how I wanted my home to be," the VP of Global Advertising & Media shares. To curate the perfect mix of old and new, Sagum turned to interior designer and vintage dealer Jennifer Chused of Chused & Co. Like Sagum, Chused began her career in fashion—first at Donna Karan and later at publications like Italian Vogue, Vanity Fair, and Elle. "The house is very fashion," remarks Chused, who referenced Sagum’s own style of dressing as a source of inspiration. The pair hit it off and worked together to create a space that celebrates pattern and whimsy in a sophisticated way. Adare Manor Named 2019 Winner of Winners! The most prestigious prize of the AI Specification Awards, the Winner of Winner Awards. This honour is bestowed upon the best project selected from the winners of all the categories in the awards. Congratulations to Adare Manor Hotel & Golf Resort, Ireland by ReardonSmith Architects / Carrson International (a division of Harbrine Limited) and Mooney Architectural for receiving the Winner of Winners award for their work on this project. We are proud to announce that the Sun Valley Bronze Plumbing Collection is now officially third party certified by IAPMO R and T Labs, one of the most widely accepted and trusted listing agencies, to be marked with the Uniform Plumbing Code (UPC) for the United States and the national plumbing code of Canada. All Sun Valley Bronze Faucets and Shower Heads are designed to meet stringent 1.2 gpm and 1.75 gpm performance guide lines, tested to ASME A112.18. 1-2012/CSA B125.1-12, is CEC listed (California energy commission) for sale in California, across the USA, Canada and Massachusetts. Sun Valley Bronze is also certified Lead Free NSF/ANSI61 for fixtures intended to convey or dispense water for human consumption through drinking or cooking through IAPMO R & T. This allows Sun Valley Bronze Plumbing that shows the marks of conformity to be sold in the US, California, and Canada. Where ever the UPC symbols are shown, you can be sure the Sun Valley Bronze plumbing fixture you are buying has gone through rigorous testing and is designed to perform for a lifetime while providing safe water saving performance. All certified plumbing products can be found on the CEC’s (California Energy Commission) website. Certificates can be found at http://pld.iapmo.org/ . Our new shop is up and running! Our new 9000 square foot addition to our manufacturing facility is now fully operational! This significant expansion provides us the opportunity to handle our ever growing production demand. We greatly appreciate your support and patience during construction and reorganization. We are proud to have built a new shop that follows LEAN Manufacturing Standards to increase efficiency and productivity. We are also proud to announce that "Sun Valley Bronze has been recognized as a Pollution Prevention Champion by the Idaho Department of Environmental Quality (DEQ) for its successful efforts to use less hazardous chemicals, reuse waste heat from its foundry, and recycle manufacturing scrap at its Bellevue facility." Please read the full announcement here. We hope our new state-of-the-art facility will help reduce lead times and increase efficiency as we continue to build the highest quality hardware on the market. Thank for your continued support of Sun Valley Bronze. Please contact our production department with any questions regarding products and/or lead times. We are excited to share that Adare Manor has been named the winner of the Virtuoso “Hotel of the Year 2018” award at the Best of the Best Awards ceremony in Las Vegas — the largest luxury travel trade show in the world. We are beyond thrilled that Sun Valley Bronze hardware was used throughout this extraordinary project. Sun Valley Bronze & Irish Hospitality. Sun Valley Bronze is excited to share our part in the 18-month refurbishment of the historic Neo-Gothic Adare Manor in the picturesque village of Adare, Co. Limerick in Ireland. Sun Valley Bronze is proud to provide internships for local kids interested in engineering and design. Watch as this young woman from the Silver Creek High School learns about 3D modeling, machining and casting before she heads off to college. Sun Valley Bronze is proud to be recognized in this global design awards program dedicated to the year's best products and projects. Interior Design's Best of Year is the design industry's premiere design awards program, honoring the most significant work of the year and recognizing designers, architects and manufacturers from around the globe. The BoY awards ceremony, held in December, draws 1,000+ world-wide attendees. Sun Valley Bronze is thrilled to be included in this thoughtful home. This modern Georgian-style Seattle home celebrates its gorgeous setting with Sun Valley Bronze. Seattle-based design firm Hoedemaker Pfeiffer worked with interior decorator Amy Baker and contractor Doug Johnston Construction to reimagine a 6,300-square-foot Georgian home with views of Lake Washington, Mount Rainier, and the Cascade Range. "Barn Door Tracks that are clean, durable, classic." Learn more about Sun Valley Bronze's Barn Door Tracks featured at this year's ICFF in this Product Insight from @InteriorDesignMagazine. 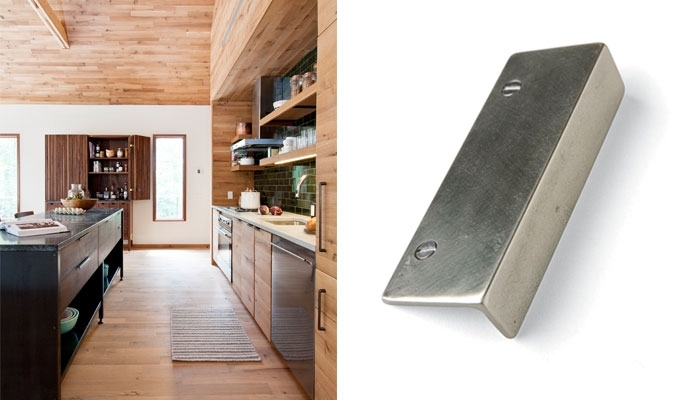 Check out our Barn Door Tracks highlighted in Interior Design's #DailyProductPick Newsletter! "The products that caught our eye at ICFF, showing at Javits Center in NYC through May 24". Our Barn Door Track is highlighted in this "ICFF 2017 Minute", a video by James Eades and Steven Wilsey for Interior Design. North America’s premier annual showcase for contemporary design. Interior Design / May 2017 - Founded in 1992, Sun Valley Bronze has become a leading purveyor of luxury bronze door hardware, home accessories, furniture, and plumbing fixtures. The family-owned brand’s products achieve a weathered appearance through hand-applied non-toxic patinas that oxidize copper and other alloys. This touch gives the art-grade bronze consistent and high-quality castings. 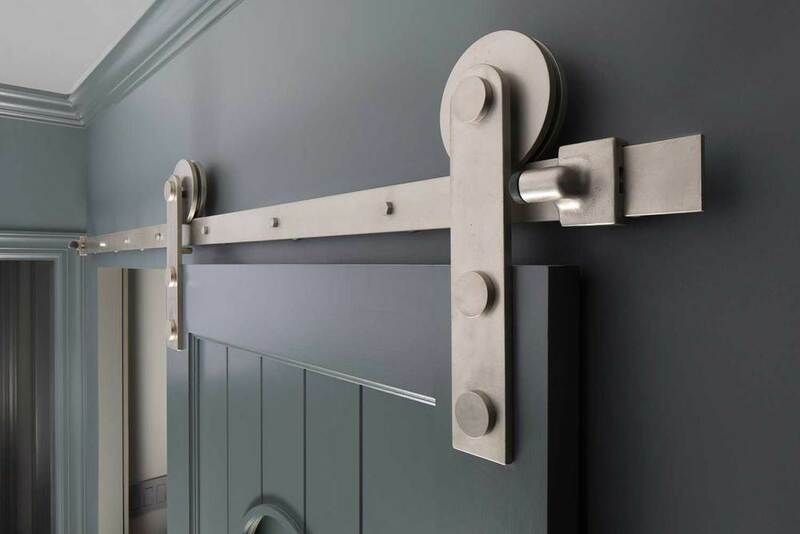 In 2015, the company's state-of-the-art Solid Barn Door Hardware received Interior Design’s prestigious Best in 10 accolade in the architectural and building product category. Sun Valley Bronze is now casting brass! The entire collection is available in either B1 Brushed Brass or BP Polished Brass. Last year, we won Interior Design Magazine's 'Best in 10' Award for our Barn Door Track. The 'Best in 10' awards honor the best projects and products of the past decade. Now, we are excited to have our new Lift Series & Otto Floor Lamp up for the BOY 2016! 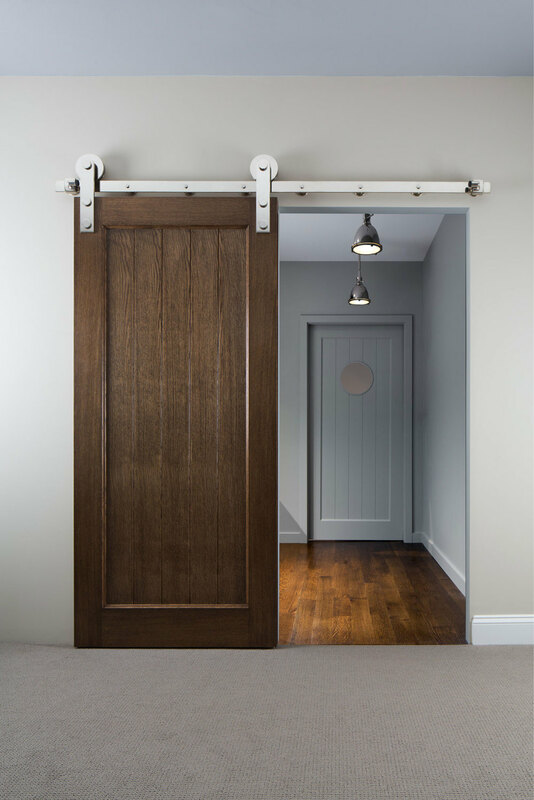 Check out our Barn Door & Pulley Light in Action! We Will See You at ICFF 2016! A contemporary collection that includes door hardware, cabinet pulls and bath accessories. Sun Valley Bronze further expands its reach into modern hardware. Interior Design Magazine's Best of the Year Awards is the preeminent design competition recognizing superior interior design projects. New this year were the 'Best in 10' awards honoring the best projects and products of the past decade. Sun Valley Bronze is proud to announce that our Barn Door Track is this year's 'Best in 10' Winner for Architectural Building Products. Haas CNC interviewed Sun Valley Bronze founder Bob Commons. Haas is a great American company. They build incredibly sophisticated CNC milling machines entirely in California. Sun Valley Bronze is proud to use their machines for our manufacturing. Sun Valley Bronze was excited to sponsor and be a part of this event. Sun Valley Bronze collaborated with de Reus Architects on this private Hawaiian residence perched above Kaunaoa Bay. LOS ANGELES, November 5, 2015 – Luxe Interiors + Design magazine, in partnership with the City of Beverly Hills and the Friends of Greystone, have teamed up with 23 of the most sought-after interior designers across the country to temporarily transform the historic Doheny Greystone Estate in Beverly Hills during the magazine’s second national designer show house, Maison de Luxe. Sun Valley Bronze is excited to sponsor and be a part of this event. "NBC is catching up with some of our favorite designers in Los Angeles. They transformed every room in the historic Doheny Greystone estate in Beverly Hills. It's all part of the Maison de Luxe Showhouse ..."
Sun Valley Bronze recently sponsored Maison de Luxe 2015 at Greystone Mansion in Los Angeles. Sun Valley Bronze was thrilled to partner with Luxe and Interior Designer Lauren Liess, of Lauren Liess & Co on this monumental event. Since its inception, Sun Valley Bronze has been characterized by being an innovative and dynamic business with a relentless quality-centric product strategy. Sun Valley Bronze is excited to show some of our custom work at the Ritz Carlton in Puerto Rico. 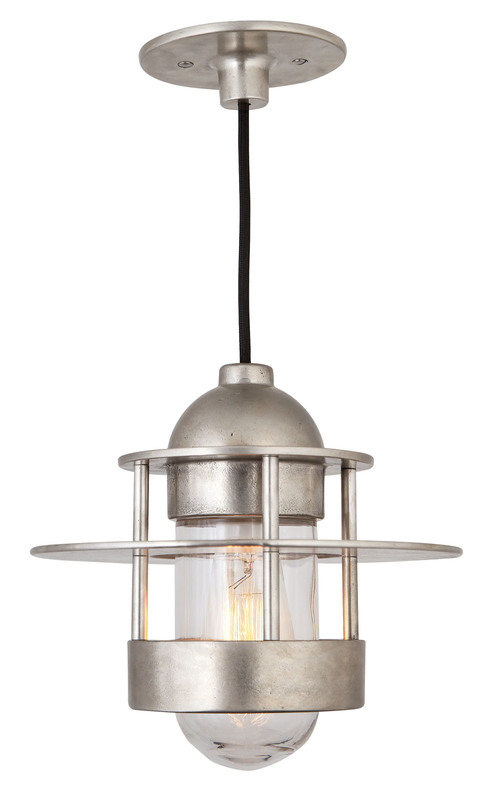 The new Sun Valley Bronze Hudson Pendants (PEND-1001 and PEND-1002) combine a nautical influence with an industrial edge. The Hudson pendants are hand made in premium art grade bronze, and are available in all our beautiful finishes. The pendants can be specified with either clear or frosted glass housings and are offered with a choice of exposed wire colors. The Sun Valley Bronze Pulley Pendant is a modern version of a classic design. The pendant is counterbalanced by a weight, which operates smoothly on a pulley system. Originally made in raw steel, Sun Valley Bronze is releasing a solid bronze version for the first time in 2015. The new addition is offered in 10 beautiful finishes including the recently released polished finishes. A variety of exposed wire colors are available. This bronze pendant is now also offered in a fixed configuration. Vote for our pendant pulley light in Interior Design 's 2014 Best of Year Awards! Nominated for Interior Design Magazine's Best of the Year Awards for 2014! The Sun Valley Bronze pendant pulley light is a modern, sleek version of a timeless design. The pendant is counterbalanced by a weight, which operates smoothly on a pulley system. For a bold color statement there are several exposed wire color options. Handcrafted in steel, the pulley light is offered in raw or blackened finishes. The solid bronze version of this fixture will be available in 2015. Voting is now closed. Stay tuned for next year! 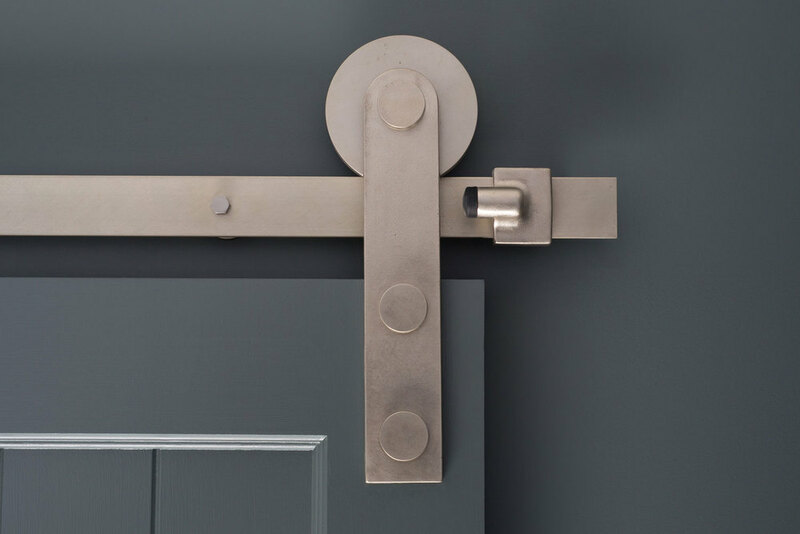 Sun Valley Bronze architectural hardware has expanded capabilities to manufacture custom extruded solid bronze hinges. This new process reduces manufacturing costs while maintaining the quality and style expected from Sun Valley Bronze. Precision machining and superior components ensure exceptional functionality and durability. 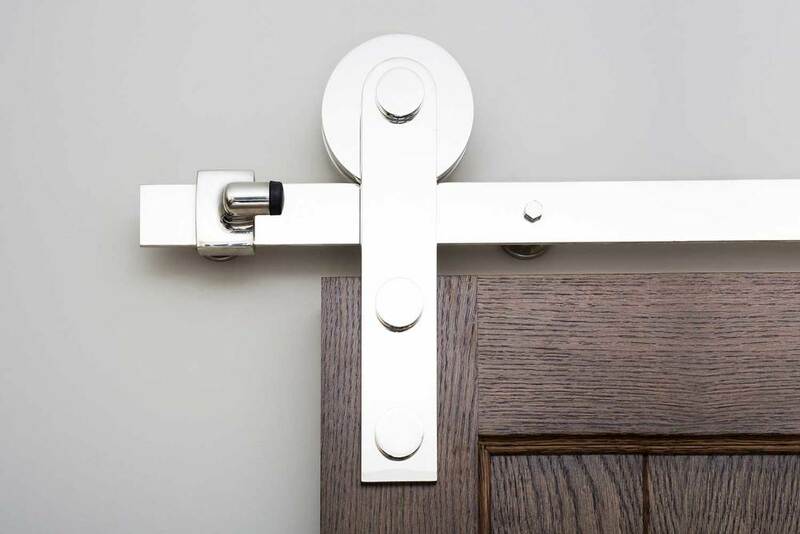 The new extruded hinges provide an affordable option for any project. BHE-4040-2K / BHE-4040-3K Hinge with Finial 4" x 4"
BHE-4545-2K / BHE-4545-3K Hinge with Finial 4 1/2" x 4 1/2"
Sun Valley Bronze has an unmatched commitment to our environment. Our team is always looking for ways to lessen our impact on the environment, from our products to our daily operations. Because our products are locally manufactured, our process can be monitored for company compliance each step of the way. What began in a friend’s basement in 1992, with homemade casting and foundry equipment, has now expanded into a multi-functional, family-run hardware factory with 47 employees and six dogs, right on the quiet Main Street of Bellevue. A. Lawrence Smart, Luthier, builds a limited number of mandolin family instruments. His goal is always to build the finest custom instrument to meet each player's discriminating needs. He enjoys providing musicians with instruments they can own and play with as much pride as he took when he built it. All instruments are carefully crafted with the finest materials available. The building process begins with the selection and harvest of Engelmann spruce in the forests surrounding McCall, Idaho, and continues with uncompromised craftsmanship and attention to detail. These custom instruments sound and feel as good as they look, and great care is given in every step - from design, to matching of woods, to finish and set-up. With every keyed hardware order, we now supply a standard key stamped with the Sun Valley Bronze logo. The custom key is easily distinguished from the rest of the keys on your key chain. The Ketchum Town Square is an open plaza modeled as a central gathering place for the community and visitors. Working from the architect’s rendering Sun Valley Bronze did the pattern work and casting for three 24” diameter decorative commemorative donor plaques. Sun Valley Bronze hardware is crafted using the finest quality art-grade bronze and the proper care will guarantee a lifetime of beauty. To help ensure that your hardware is properly maintained, we have assembled a patina care kit. Each kit contains clear paste wax, steel wool, Scotch Brite pad, gloves, cleaning cloth and instructions specific to each type of finish. The kits are available through your Sun Valley Bronze Dealer.